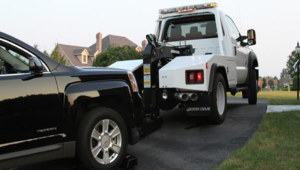 The service for Towing a vehicle that is blocking your driveway is free of charge to the owner of the driveway or property. Do not worry and call Queens Towing Service we will clear the path so you could be on your way. We are always available for any type of towing services. Please be sure the vehicle you want to be removed from your blocked driveway, has a police summons or ticket on it so that we can come to you in the fastest time possible. Thank you for your service, we are open 24 hours. give us a call at any time.